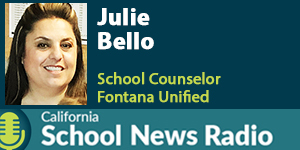 California School News Radio is a weekly podcast focused on education issues at public school districts hosted by Kevin Ausmus and Drew Schlosberg. The podcast airs live at 11 a.m. Tuesdays on wsRadio.com. Peruse our library of clips from past shows. April 16, 2019 Music to Run By – California Public Schools Excel in Many Ways San Gabriel Unified District was recently recognized by the National Association of Music Merchants Foundation (NAMM) as a Best Communities for Music Education district. Jefferson Middle School orchestra director Esther Minwary discusses the District’s TK-12 pipeline of music education, the Music Immersion Experience program, and what she has learned from students in her classroom. April 9, 2019 El Monte Union CTE Pathway Programs Creates Chefs and Media Stars El Monte Union staged its inaugural Cooking Showdown in March, a TV-style competition in which student chefs from the Arroyo, Rosemead and Mountain View high school culinary arts programs received an hour to prepare a gourmet meal, while being filmed by students from Mountain View’s VISTA Academy. 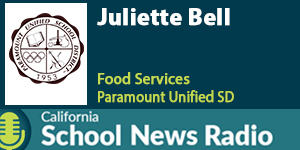 EMUHSD Director of Curriculum Hillary Wolfe discusses how the Cooking Showdown came together and what it means for El Monte Union CTE Pathway programs. April 2, 2019 Dual Enrollment at Mt. SAC and Robotics in Monrovia Accelerate Success West Covina Unified School District’s Mt. SAC Early College Academy opened its doors in August 2018 with 60 freshmen motivated to take dual enrollment classes and earn up to 50 transferable college credits by the time they graduate. Principal Candace Leuthold discusses what the Academy is looking for in a student, what resources are available from Mt. SAC and what it takes to design a school from scratch. March 26, 2019 History Day L.A. Connects Youth to the Past; AVID Connects K-8 to College Students from San Gabriel Unified’s Del Mar High school highlighted the discriminatory housing process known as “Redlining” as part of their History Day L.A. efforts. All seven team members advanced to the California History Day finals in Sacramento. Principal Lon Sellers, adviser Kady Kloster and the History Day students discuss the intensive research and preparation that went into their projects and the thrill of going to the state championship in May. March 19, 2019 Celebrating Scholarship and Sports in So-Cal Schools Through its Black College Expo, the National College Resources Foundation (NCRF) has enabled hundreds of Lynwood Unified School District students to attend college, while securing millions of dollars in scholarships from Historically Black Colleges and Universities. NCRF CEO Dr. Theresa Price and Lynwood High students Mytrece Edwards, Te’yanah Owens and Breanna Farmer discuss turning college dreams into reality. March 12, 2019 A Circle of Support with Schools and Nonprofits; FuzzFEST and Shoes That Fit Now in its fourth year, the Monrovia FuzzFEST is a pledge-based, head-shaving event to raise funds for childhood cancer research, held on St. Patrick’s Day. St. Baldrick’s Foundation CEO Kathleen Ruddy, FuzzFEST organizer Dominque Strivings and Mayflower Elementary School office manager Tamara Morrison discuss how local schools and communities can join together to promote cures for deadly diseases. 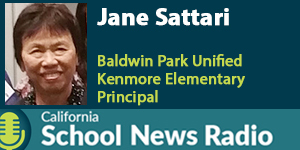 March 5, 2019 21st Century Learning; Understanding Business, Understanding the World Canyon Crest Elementary School in the Fontana Unified School District is being celebrated as an Exemplar school by the Partnership for 21st Century Learning/Battelle for Kids network. 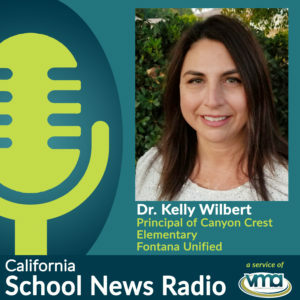 Canyon Crest Principal Dr. Kelly Wilbert discusses growth mindset, the importance of local business partnerships, communicating with parents and staff, and a recent campus visit by students from China. 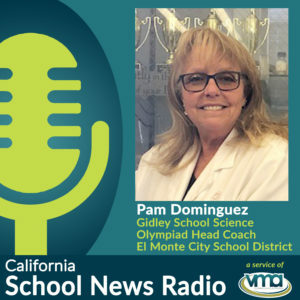 February 26, 2019 Showcasing Science and Social Commitment from El Monte to Baldwin Park Gidley School in the El Monte City School District has been a leader in STEM education, fielding a Science Olympiad team for more than 25 years. Gidley School Science Olympiad head coach Pamela Dominguez and Team Captain, Gidley eighth-grader Tracy Chow, discuss how the team prepares for competitions, how a student finds their specialty and the influence of Gidley alumni who have used their Olympiad experience to ascend to elite universities. 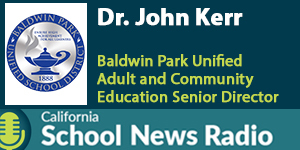 Baldwin Park Adult and Community Education School Senior Director Dr. John Kerr discusses the myriad ways the adult school provides services for the Baldwin Park community, the success stories of graduates and the generous support for adult school education by the BPUSD Board of Education. 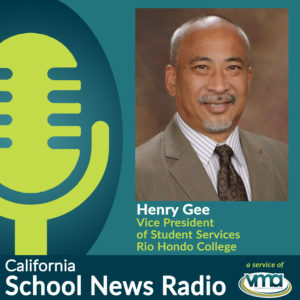 February 19, 2019 Student Services are Central to Success at Rio Hondo College Baldwin Park Unified School District will hold its first District Showcase Saturday, March 2 from 9-noon at Morgan Park in Baldwin Park, which will highlight the signature programs, engaging academics and essential supports and services available at the District. Director of Student Services William Avila discusses what the community can expect to see at the showcase. February 12, 2019 El Monte Union Schools: Growing Food and a Sense of Community Arroyo High School in the El Monte Union High School District is teaching its students about eco-sustainability and healthy living through their participation in the Arroyo Garden Club. The Arroyo Garden’s organic produce is harvested by the school’s Culinary Arts program and used in its daily menus. 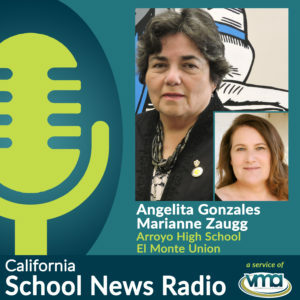 Arroyo Principal Angelita Gonzales, Arroyo junior Oscar Ramos and Eco Urban Gardens executive director Marianne Zaugg discuss the transformation of the garden into a regenerative learning center. Bobby Salcedo was a much beloved teacher and administrator in the El Monte Union High School District whose tragic death in 2009 rocked the community. 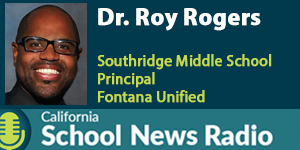 El Monte Union Superintendent Dr. Edward Zuniga discusses the recent ribbon-cutting for the Bobby Salcedo Student Union at Mountain View High School, Salcedo’s legacy in El Monte, the soon-to-be-completed El Monte High School football stadium renovation and the recently passed Measure HS. February 5, 2019 Making Mariachi Music and TOSA’s Talking Tech Add to The Experience of School El Monte City School District has brought the rich music tradition of mariachi music to Potrero School, where 40 students participate in an afterschool program that is overseen by the Jose Hernandez Mariachi Academy. Potrero School music teacher Victor Williams and eighth-grade student Stephanie Vega discuss the positive impact the program has brought to the Potrero School community. 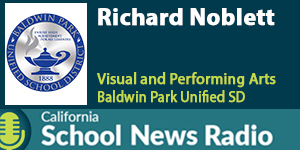 January 29, 2019 Motivating Students and Enticing Students with Culinary Arts In his more than 20 years at the District, Baldwin Park Unified School District Director of Student Achievement Richard Noblett has taught in the classroom and served as a middle school principal. Noblett discusses the various methods he employs to engage Baldwin Park students, including bringing YouTube motivational speaker Josh Drean to speak to the students and encouraging the use of school mascots to increase school spirit. January 22, 2019 It’s About the Learning Experience. Music Immersion and the Kindergarten Academy Show How. 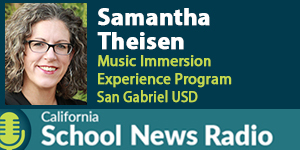 In 2015 Roosevelt Elementary School of the San Gabriel Unified School District launched the Music Immersion Experience (MIE) academic program, which allows students to receive instruction from a music specialist every day, up to 11 hours a week. 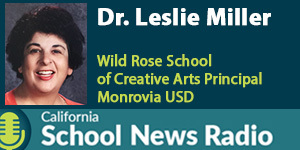 The MIE has dramatically changed the school climate at Roosevelt, with greatly improved test scores. Roosevelt MIE program coordinator Samantha Theisen discusses the origins of the program and how it is resonating with the students. 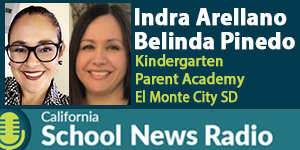 When the 2018–19 school year began, El Monte City School District parents were welcomed with an additional resource, the Kindergarten Parent Academy, to help their children navigate their school experience. The Academy presents a series of workshops concentrating on literacy, mathematics and socio-emotional health and is available throughout the District. Rio Hondo Elementary School teachers Indra Arellano and Belinda Pinedo discuss the purpose and the benefits of the Academy. January 15, 2019 Kaiser Represents Fontana at the Rose Parade; Lynwood USD Offers Multiple Paths to Success Fontana Unified School District’s Kaiser High School Catamount Pride Band and Color Guard received the honor of being the Premier Band for the 2019 Tournament of Roses Parade, participating in the opening ceremony and performing with pop legend Chaka Khan. 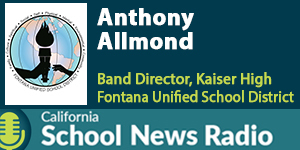 Kaiser High Instrumental Music Director Anthony Allmond and Catamount band members Erica Gonzalez and Gabriela Gutierrez discuss how they prepared for the parade and what it feels like to be a member of the Rose Parade family. Lynwood Unified School District has undergone a tremendous academic transformation, raising graduation rates by nearly 20 percent since 2010 and being named an Advanced Placement National District of the Year in 2017 by the College Board. 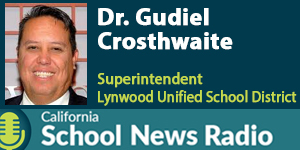 Lynwood Unified Superintendent Dr. Gudiel Crosthwaite discusses the District commitment to career technical education, partnerships with local colleges, professional development and the high expectations for Lynwood students. January 8, 2019 Inspired Students and Inspiring Teachers in California Schools Bonita Unified School District has seen steady increases in its math and English language arts test scores over the last four years, and is celebrating the recognition of 11 BUSD 2018 graduates as National AP Scholars. 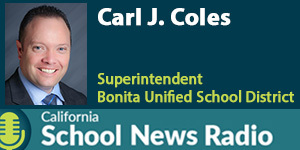 Superintendent Carl J. Coles discusses the Bonita Unified mission of equity, mastery and focus on results, the District’s wide variety of career technical education opportunities, and the importance of student collaboration and camaraderie. 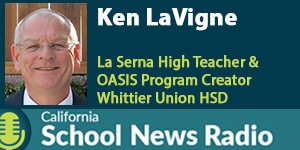 La Serna High School teacher and OASIS director Ken LaVigne discusses his new book, Coach the Soul, a series of essays on the students, teachers and coaches that have had a profound impact on his life. After retiring as a football coach, LaVigne, a 2012 California State Teacher of the Year, created the OASIS program to help at-risk students regain their joy of learning. LaVigne discusses the process of authoring the book, the OASIS program and his most inspirational student. 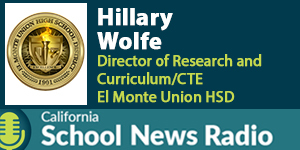 December 11, 2018 El Monte Schools Teach Students to be Successful and Healthy El Monte Union High School District’s Director of Curriculum and Instruction Hillary Wolfe discusses the growth of Career Technical Education in the district this year and what is to come in 2019. Wolfe discusses the District’s upcoming CTE Fair, introducing El Monte students to local businesses and entrepreneurs, and introducing students to the realities of financial planning. 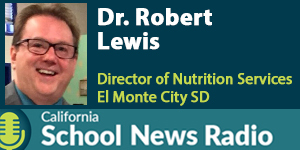 El Monte City School District Nutrition Services Chief Dr. Robert Lewis was recognized as 2018 Director of the Year by California School Nutrition Association for enacting programs to fight childhood obesity. Dr. Lewis discusses healthy eating, working with local vendors, listening to the advice of students and his lifelong passion in the field of child nutrition. December 4, 2018 Microsoft Innovation Enpowers and Football Excites Fontana Unified Southridge Middle School in the Fontana Unified School District was named a Microsoft Showcase School in August, just one of 40 schools in the United States to receive this honor. Southridge Principal Dr. Roy Rogers, math teacher and Microsoft Innovation Educator Elsbeth Seymour and eighth-grader Sebastian Castro discuss the school’s commitment to technology in the classroom, professional development and the school’s first Digital Footprint showcase. 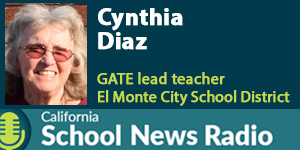 November 27, 2018 Robots Roam El Monte Schools and the Music Beat that Drives Van Wig Elementary Durfee School teacher Cynthia Diaz helped launch El Monte City School District’s robotics program in January, and the results have been exceptional, with 80 students from El Monte City’s GATE program currently enrolled, and plans to double the number of teams in the next year. Diaz, El Monte City’s lead GATE teacher, discusses the robotics program, and is joined by Durfee School seventh-grader Oscar Vasquez. Van Wig Elementary School Principal Andrew Candelaria learned to play drums at an early age and has long recognized the value of using music as a teaching aid. 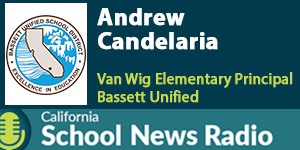 In September, Candelaria started an afterschool drum class, and he discusses the positive effects on his Bassett Unified students, along with the expanding role of computers in the classroom, PBIS, and his desire to give back to the local community. 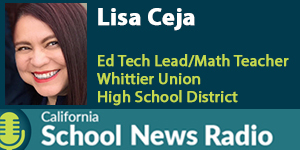 November 20, 2018 Innovation and Education Team Up at Google Campus Pioneer High School math teacher and education tech lead Lisa Ceja was recently accepted into Google for Education’s prestigious Certified Innovator Program. Ceja talks about meeting her fellow educators during a three-day Innovation Academy held at the Google Campus in Venice, California; working with experienced teachers in the Whittier Union High School District to bring technological solutions into the classroom, and how technology in the classroom has evolved in her 25 years as an educator. 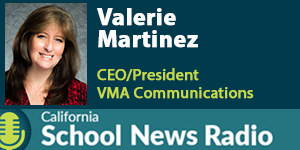 VMA Communications president and CEO Valerie Martinez discusses the history of the outreach firm she created in 1996 to highlight academic success in school districts across California, outlining VMA’s goals and successes with their education clients, the tremendous growth of the firm, and the launch and development of California School News. 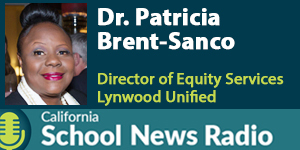 November 13, 2018 Public Schools Bring Technology and Success to Our Communities Dr. Patricia Brent-Sanco, Lynwood Unified’s Equity Services Director, is inspiring underserved students and their families while fostering equity and cultural proficiency throughout the community. 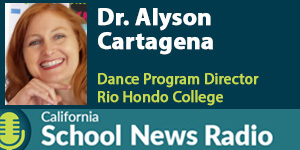 Dr. Sanco discusses the District’s three-year plan in raising the bar of achievement for minority students, as well as the department’s high-level events and conferences that expose young people to new paths of success. November 6, 2018 Giving Voice to Students, On-Stage and On the Street Part 1: Gabrielino High School Speech and Debate students Starlee Hoc, Brandon Du and Kenny Le. 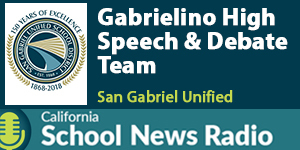 Gabrielino’s acclaimed Speech and Debate team has won 21 straight Southern California Debate League Championships, making the team one of the top Debate teams in the nation. On Election Day 2018, three Gabrielino students share their thoughts on the political process, the importance of voting and what they feel are the most compelling issues facing students today. 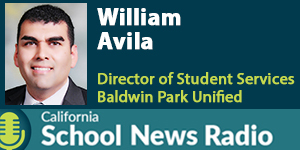 Part 2: Baldwin Park Unified School District Director of Student Services William Avila. 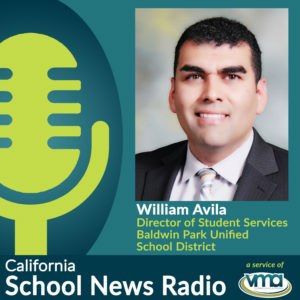 Baldwin Park Unified takes a proactive stance against bullying, using Positive Behavioral Interventions and Supports (PBIS), socio-emotional learning components and peer role models to establish communication lines that lead to increased student achievement. Avila discusses the commitment of District personnel to combat bullying through outreach and a supportive environment. 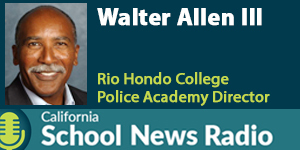 October 30, 2018 Learning to Protect the Streets and the Environment Rio Hondo College Police Academy Director Walter Allen III discusses the rigorous training process that awaits new recruits, the fearlessness of first responders, the influence the Police Academy has had throughout police departments across California, and how the academy has adapted to the changing needs of law enforcement. The Paramount High School Green Club has been serving the school and the community for 12 years, providing students an opportunity to experience the outdoors and take leadership roles in the restoration of the environment. 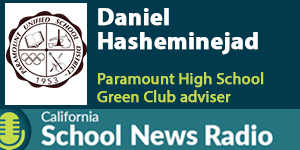 Green Club adviser Daniel Hasheminejad and student members Christopher Shokunbi and Brian Rodriguez discuss recycling, community gardens and field trips to Bolsa Chica Wetlands and Yosemite National Park. 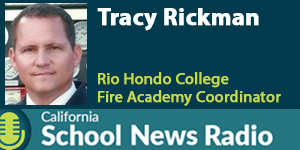 October 23, 2018 Schools Help Help Protect Suburbs and Build Urban Centers Rio Hondo College Fire Academy Coordinator Tracy Rickman and Cadet Josh Morris discuss the school’s 50-year anniversary celebration, fire safety, the myriad challenges of preparing a Wildland firefighting force, and the special qualities needed to be a firefighter or EMT. Kenmore Elementary School in the Baldwin Park Unified School District is a California Distinguished School that recently received recognition as a 2018 America’s Best Urban School. Kenmore Principal Jane Sattari and sixth-grade teacher Jennifer Lopez discuss Thinking Maps and other instructional techniques, and what they love the most about their jobs. 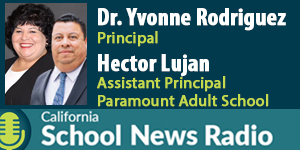 October 16, 2018 Adult Schools Help Build Thriving Economies and Communities Segment 1: Paramount Adult School Principal Dr. Yvonne Rodriguez and Assistant Principal Hector Lujan discuss the role the adult school plays in the community, the recent ribbon-cutting for their new cosmetology program, and the joys of watching their students become citizens of the United States. 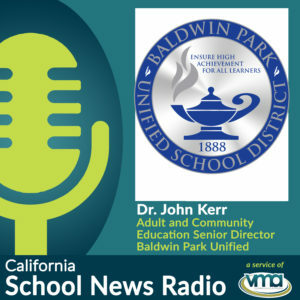 Segment 2: Baldwin Park Adult and Community Education School Senior Director Dr. John Kerr discusses the myriad ways the adult school provides services for the Baldwin Park community, the success stories of graduates and the generous support for adult school education by the BPUSD Board of Education. 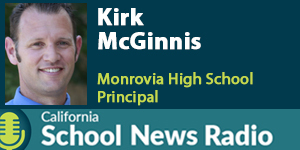 As Monrovia High School celebrates 125 years as an educational institution, MHS Principal Kirk McGinnis discusses “Living Life the Wildcat Way,” watching students transform into lifelong learners, and the special role Monrovia High plays in defining the character and spirit of the tight-knit Foothills community and school district. Established in 1868 as one of the first school districts in California, San Gabriel Unified School District celebrates its sesquicentennial by looking towards the future. 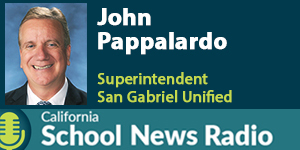 SGUSD Superintendent John Pappalardo discusses the district’s personalized learning programs and how a quote from Aristotle played a significant role in guiding him into a career in education. 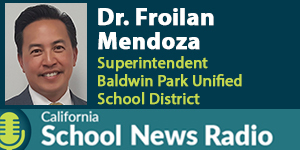 October 2, 2018 Prepping Kindergartners for College; Help Your School “Go Green” Guest 1: Baldwin Park Unified School District Superintendent of Schools Dr. Froilan Mendoza discusses the vital role Baldwin Park alumni play in the district’s commitment to college and career, the importance of introducing kindergartners to a college culture, early childhood development and dual language immersion. 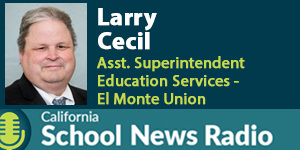 Guest 2: El Monte Union High School District Asst. Superintendent of Education Services Larry Cecil discusses the district commitment to sustainable living through a series of “Go Green” initiatives that have brought electric car charging stations and solar panel carports to its campuses, as well as a community garden of fruit trees planted at Mountain View High School. September 25, 2018 Schools, STEM, and Communities Transform Students into Citizen Scholars In 2015, Holland Middle School in Baldwin Park Unified School District partnered with Project Lead the Way to provide Science, Technology, Engineering and Mathematics (STEM) curriculum for its students. 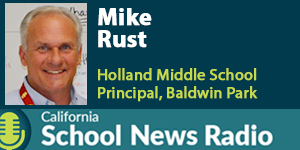 Holland Principal Mike Rust talks about the growth of the program, Holland’s award-winning robotics team, the Femineer Club and the changing nature of STEM education in the classroom. 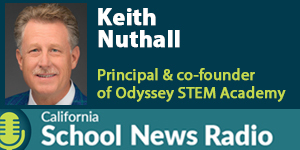 Keith Nuthall, principal and co-founder of Odyssey STEM Academy, discusses how he worked with Paramount Unified School District to create a new, non-charter, STEM-focused high school in Paramount through an iterative design process that re-imagines high school by transforming students into scholars who pursue internships in their community, becoming active participants in their school curriculum. 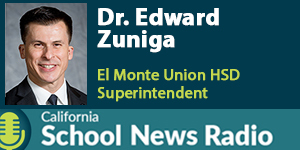 September 18, 2018 Dr. Edward Zuniga Returns to Lead El Monte Union; The Bridge Theater Project Helps Students Reach the World Guest 1: Dr. Edward Zuniga – El Monte Union High School District Superintendent When El Monte Union High School District Superintendent Dr. Edward Zuniga graduated from El Monte High School in 1991, he never dreamed he would someday return as the District’s top administrator. 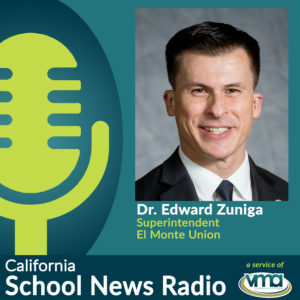 In a wide-ranging conversation, Dr. Zuniga details El Monte Union’s commitment to providing a path to college and career for every student, STEM education, civic engagement, and the educational journey he took that brought him full circle with the El Monte community. 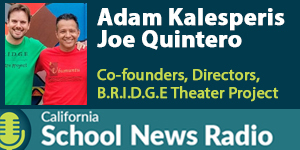 Guest 2: Joe Quintero, Adam Kalesperis – Co-founders, Directors, B.R.I.D.G.E Theater Project In 2014, Lynwood Unified School District began a partnership with BRIDGE Theatre Project, an L.A.-based arts education provider. In four years, BRIDGE has overseen more than 100 student-written and performed plays and in July 2018 traveled with two Cesar Chavez Middle School students to the Ubumuntu Arts Festival in Rwanda. BRIDGE co-founders Adam Kalesperis and Joe Quintero discuss the origins of the program and its impact on the Lynwood community. 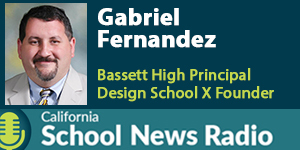 September 11, 2018 Student Equity and Inclusion drive Design School X; VMA Highlights Academic Success in California Segment 1: Bassett High School Principal Gabriel Fernandez and Design School X (DSX) founder and executive director David Clifford have begun a learning partnership that seeks to redesign high school so that it is more centered on student equity and inclusion. 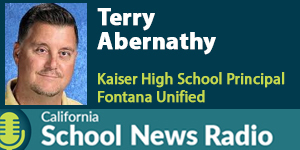 Fernandez and Clifford discuss the formative steps they are taking at the classroom level to provide Bassett High faculty and staff with student and parent feedback, and their surprising results on the first day of school. Segment 2: VMA Communications president and CEO Valerie Martinez discusses the history of the outreach firm she created in 1996 to highlight academic success in school districts across California, outlining VMA’s goals and successes with their education clients, the tremendous growth of the firm, and the launch and development of California School News.